Western blot analysis of whole cell lysates probed with SPARC antibody (VPA00564) followed by detection with HRP conjugated Goat anti Rabbit IgG antibody (1/10,000, STAR208P) and visualized on the ChemiDoc™ MP with 18 second exposure. Arrow points to SPARC (molecular weight 35 kDa). Rabbit anti-human SPARC antibody recognizes SPARC, also known as BM-40, basement-membrane protein 40, cysteine-rich protein, osteonectin or secreted protein acidic and rich in cysteine. This antibody has been extensively validated for western blotting using whole cell lysates. Rabbit anti Human SPARC antibody recognizes SPARC, also known as BM-40, basement-membrane protein 40, osteonectin or secreted protein acidic and rich in cysteine. The SPARC gene encodes a cysteine-rich acidic matrix-associated protein. The encoded protein is required for the collagen in bone to become calcified but is also involved in extracellular matrix synthesis and promotion of changes to cell shape. The gene product has been associated with tumor suppression but has also been correlated with metastasis based on changes to cell shape which can promote tumor cell invasion (provided by RefSeq, Dec 2011). Mutation of the SPARC gene causes presentation of Osteogenesis imperfecta 17 (OI17), an autosomal recessive form of osteogenesis imperfecta, a connective tissue disorder characterized by low bone mass, bone fragility and susceptibility to fractures after minimal trauma (Mendoza-Londono et al. 2015). 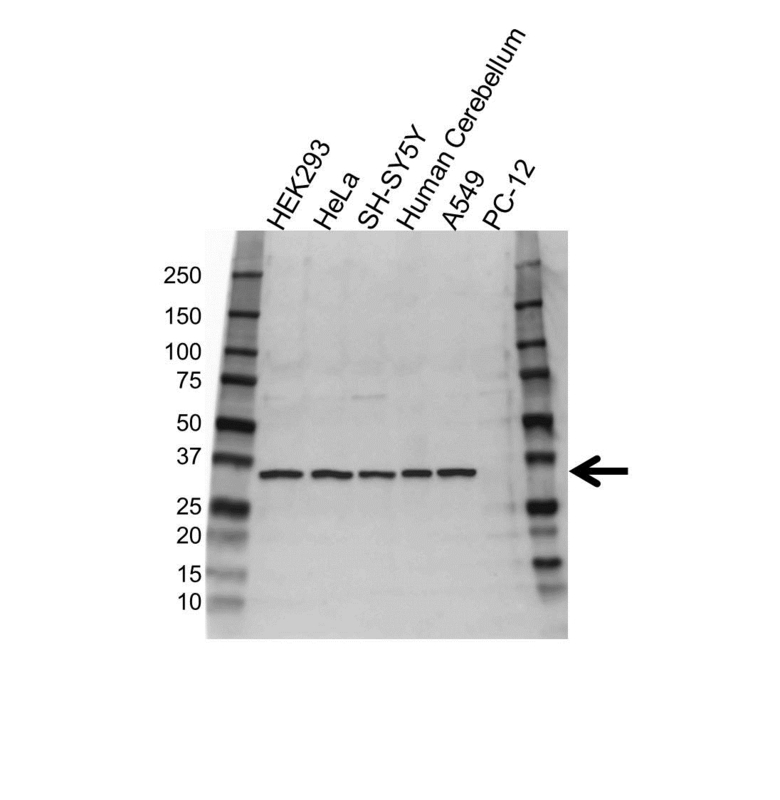 Rabbit anti Human SPARC antibody detects a band of 35 kDa. The antibody has been extensively validated for western blotting using whole cell lysates. Anti SPARC detects a band of approximately 35 kDa in HEK293 cell lysates.